You’ve got a big event to plan and no time to waste. so Let’s get started. We have a variety of special packages for you to choose from. Your wedding celebration only happens once, there are no second chances and we understand that. That’s why we will be with you every step of the way on your biggest day. From the reading of your marriage vows to your first dance, we amplify every special moment. We meet you, listen to your needs and guide you through every step to ensure your wedding is absolutely amazing! Corporate parties are a great opportunity to network, mingle and shake off all the stress of work. 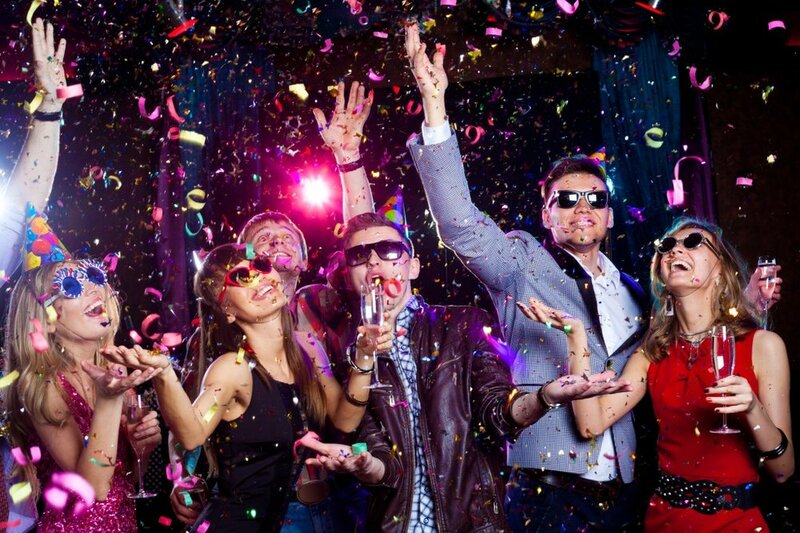 Treating your employees or clients to a party can be a great way to build morale. We are all about providing our clients with the right music that will ensure a fun and stress-free event. This is what we strive for. We’re here to make sure that your company event is a memorable experience. For the party of all parties, let’s bring your theme party to life! Our theme party DJs and live bands play music based on your chosen theme. It doesn’t matter if your theme takes place in the 1920’s or 1970’s we create the desired mood that suits your event. We will even light up your party with vibrant colors. So if you’re looking to host a party that stands out, this is the package for you. Roll out the red carpet for you and your guests! Award ceremonies are a great showcase for everyone to enjoy but especially for the winners who have earned that special moment. We are here to amplify that moment. We are seasoned pros who will provide you the sights and sounds that will make your award ceremony unforgettable! Like what you see? We have more options available for you to choose from! It’s all about you. This is possibly the most important moment of your life and we want it to be amazing as much as you do. When you are reading your marriage vows and say the words “I Do” you can rest assured that every single one of your guests will hear it loud and clear. Including your ceremony music. We handle all the intricate details of your ceremony and cocktail hour so you can focus on what truly matters. We are all about creating an awesome experience. When you choose Sound For Ceremony for your wedding reception you can be confident that your dance floor will be packed, your guests will be happy and smiling ear to ear. It’s no secret that music has a tremendous influence on the overall vibe of your wedding. We want you and your guests to be on the dance floor all night long sharing this amazing night together. Has your loved one just popped the question? If the answer is yes, then congratulations!!! As you are now engaged, what better way to spread the good news than to throw an engagement party to make the big announcement. We want to meet you well before the actual event to discuss every aspect of your party. Things such as your music preference, any special toast/speeches to be made during the event and to ensure this is a fun and stress-free engagement party. You’re the star of the show and it’s time to party like a Rockstar! Every new age is worth celebrating. The last thing anyone wants for their birthday celebration is a snooze-fest. So we are here to bring your celebration to life! We want to make sure you are happy with your music selection and having the time of your life. We will deliver nothing short of bliss at your birthday party. Looking to set the mood for your wedding ceremony? We’ve got you covered. Our ceremony musicians are classically trained professionals who specialize in wedding performances. Whether you’re looking for a string quartet or a solo performer, we will provide you the right ceremony musicians that best suites you. Our cover bands are considered to be some of the most energetic, fun-filled and skilled musicians for weddings and other special events. They bring you the most electrifying and entertaining dance music experience you could ever imagine! They make it hard for guests to sit still when they perform some of the hottest dance hits of today and yesterday. From Rock & Roll, Hip Hop to R&B, these sensational music machines turn parties to unforgettable experiences that gets the crowd excited!